This American-made media cabinet features glass-paneled cabinets and two drawers, for abundant storage of all your entertainment essentials. 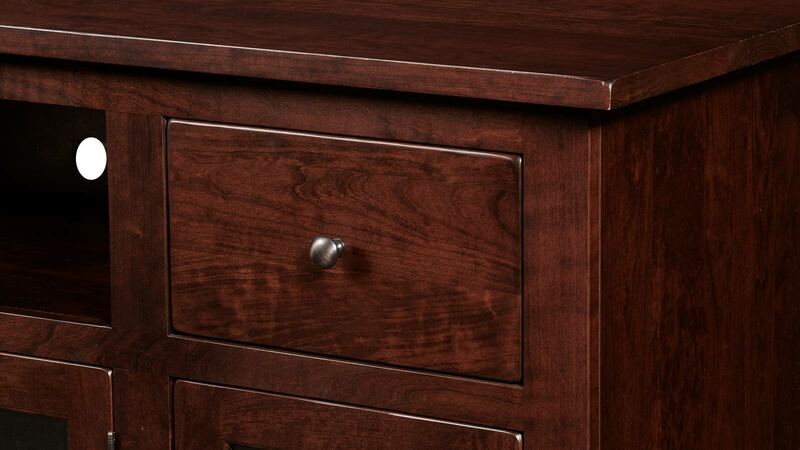 Solid cherry wood with a warm finish provides both elegance and durability. You’ll stay organized with media cable cutouts to hide any cords, while metal hardware gives the drawers and cabinets a modern update. 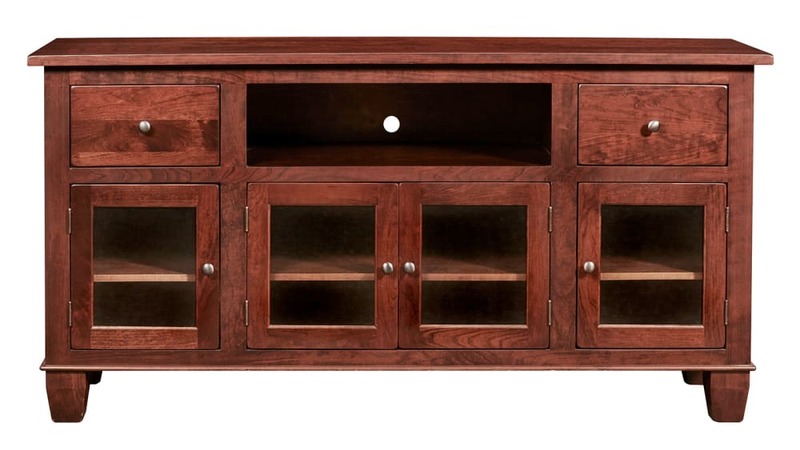 Made in America, this media cabinet features solid cherry wood. Spacious drawers keep your belongings neatly organized. 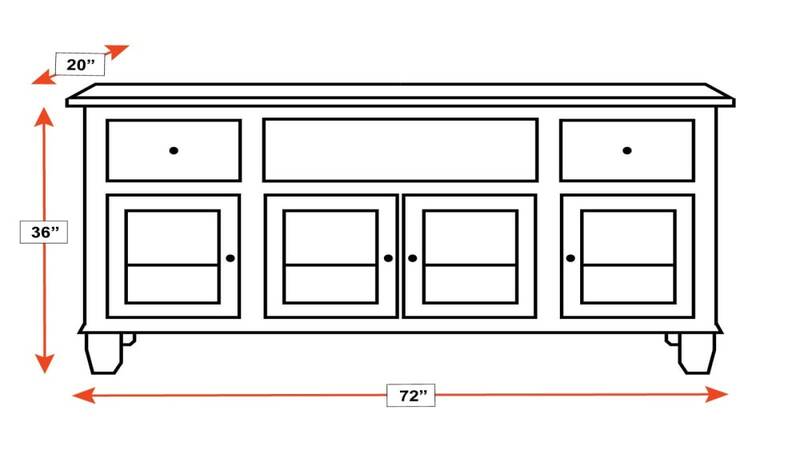 Glass door cabinets are perfect for storing movies, music, and electronic devices. Adjustable shelves allow you to customize your storage experience. An open compartment neatly stores various media players. Media cable cutouts in the back allow you to easily organize your cords.